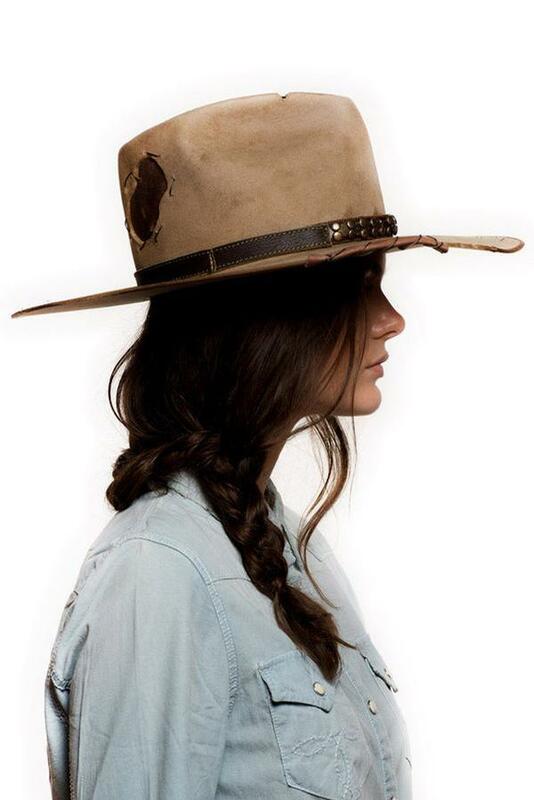 HISTORY: A product of his environment, the western frontiersman’s clothing reflected his commitment to survival and sustainability by combining both style and materials of settlers and Native Americans. 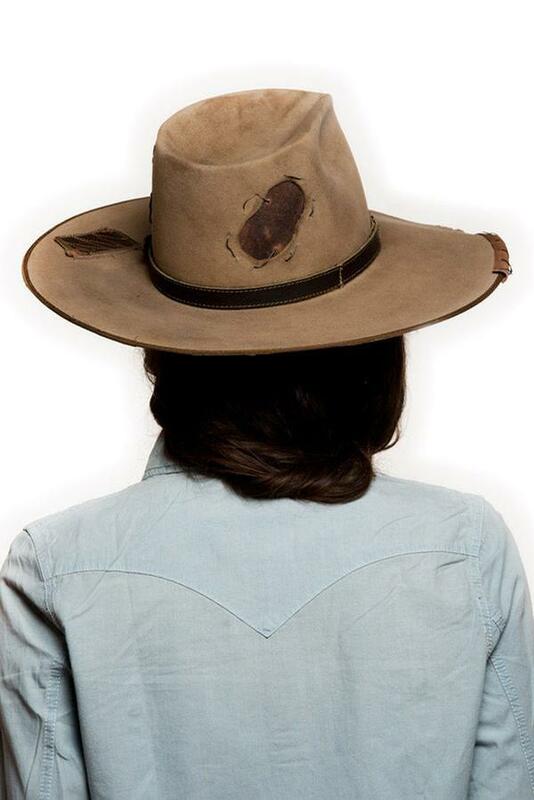 Symbolic of the harsh and treacherous life, frontier hats often displayed “make-do” and recycled components from the wearer’s journeys. Every inch told a story and everything served a purpose. 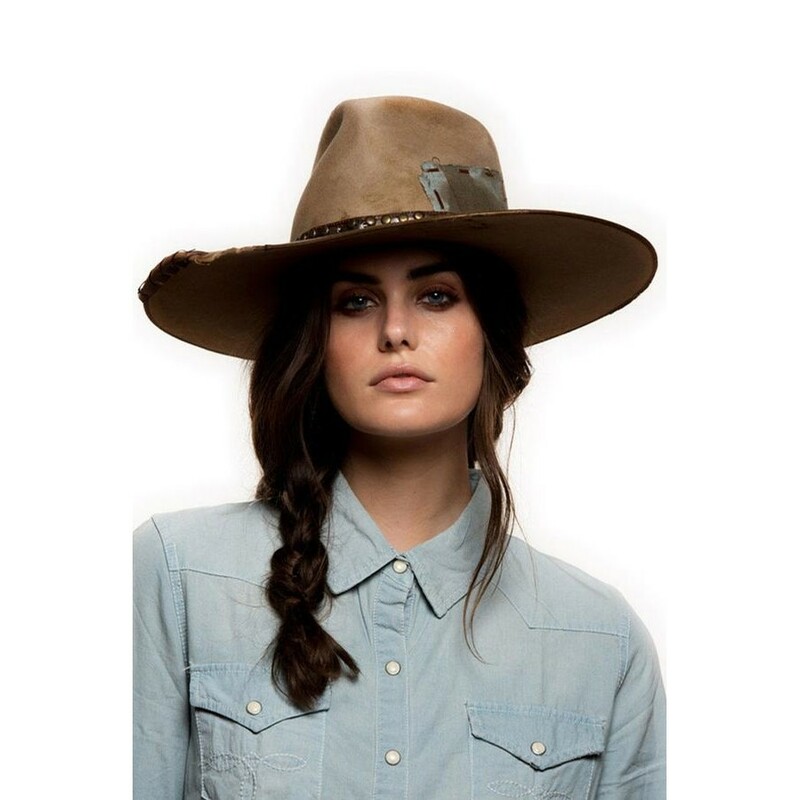 The Double D Ranch X Greeley Hat Works Frontier Trapper Hat embodies this hard, rugged lifestyle with a hand-creased pinch front and distressed markings from a fortuitous past adventure. Its bond is the strength, dependability and loyalty every person desires when encountering rough terrain. 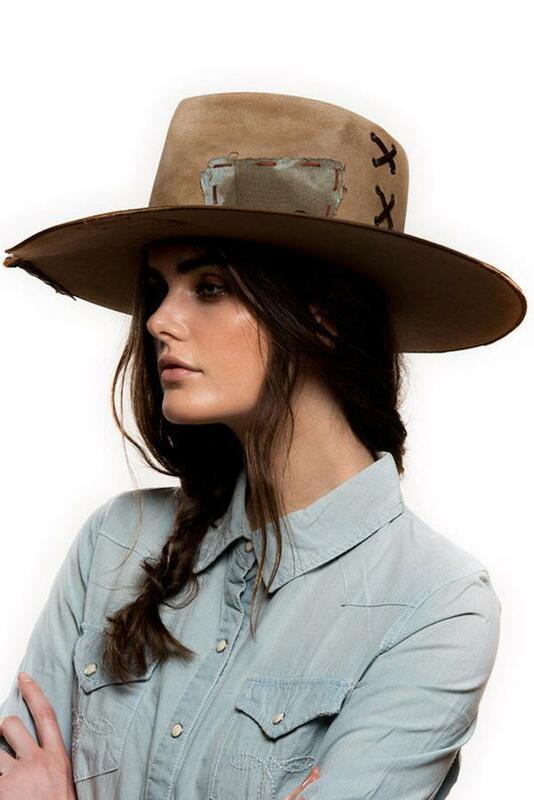 • round crown and brim, distressed patching, leather inset and lacing, loaded nail head "belt" band.